I decided to jump right in with the Ice Dye technique. The folding and tying is the most difficult amount of precision. The dying process is semi-controlled chaos, but with beautiful results. 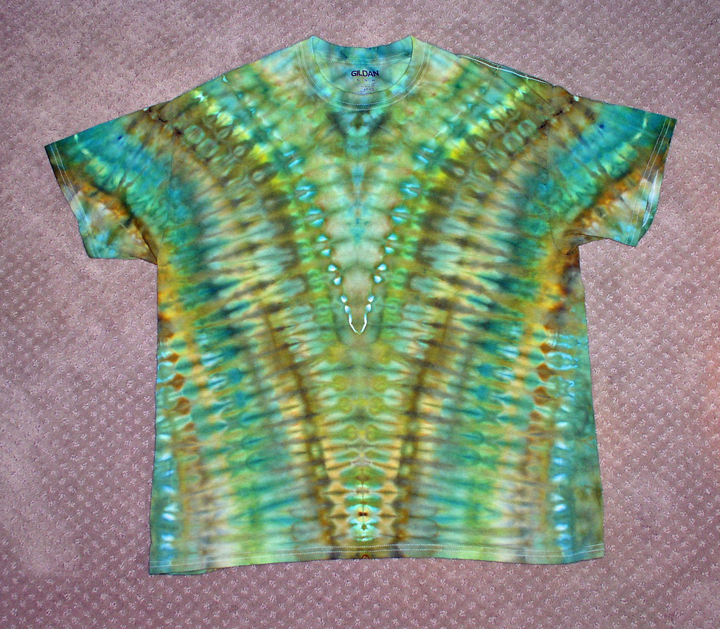 I wanted a true mirror reverse, so to achieve that the shirts had to be inside out, and folded from front center to align with the back center, and pressed as smooth as possible before tying and folding. I did three my first day, and used different tie folds for each. 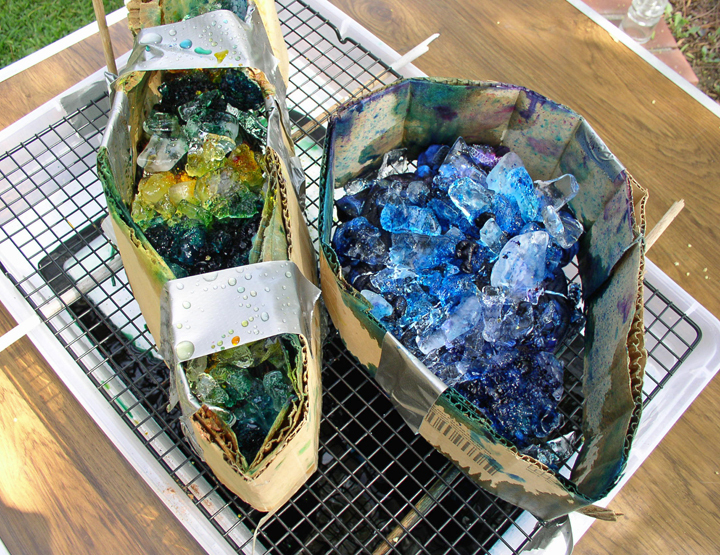 The dye is sprinkled over the ice to your liking, and allowed to melt, There is no control except the colors and where you put them. Where it melts to, and how it spreads is a completely uncontrollable thing, but really fun to watch. After sitting wrapped for 24 hours, its like opening a present when you rinse them out. My first, a traditional liquid dye application, with the tie as a heart shape. 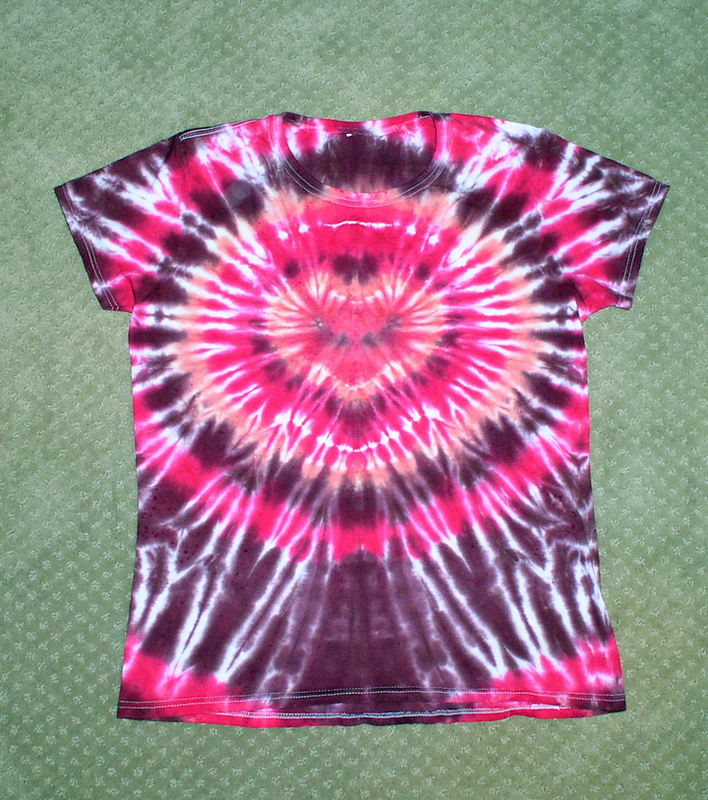 I will be back with more, but after using the Ice dye, I will probably continue with that method. Those designs are very visually appealing! 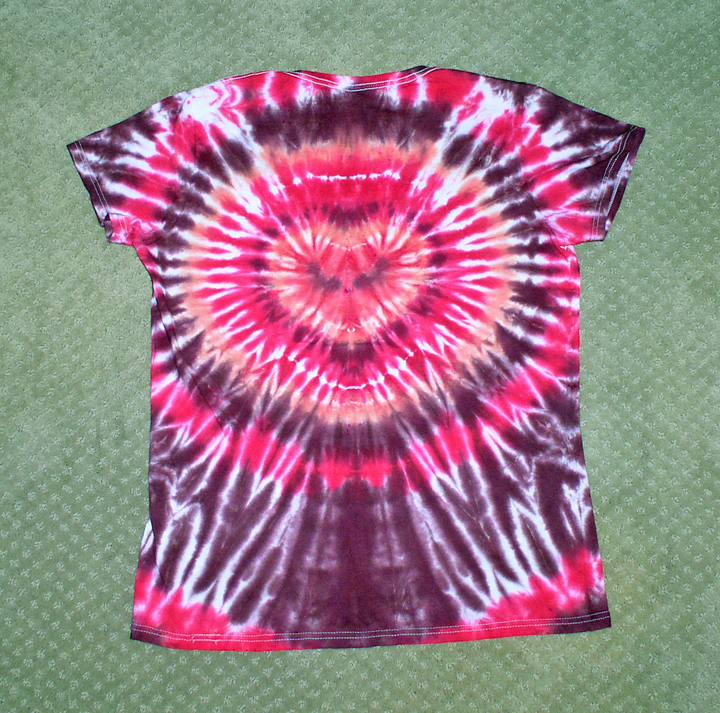 I had no idea tye-dyeing could be so fractal and uniform. Looking good Skye! Especially for your first run! Someone did their research and study. FYI i wear an XL. But seriously, I'm going to have to do some research now, cuz I think its really cool. That is awesome sky.. What kind of dye are you using? Thank you people, I am pretty happy with the results. One, I use the fiber reactive Procion dye. 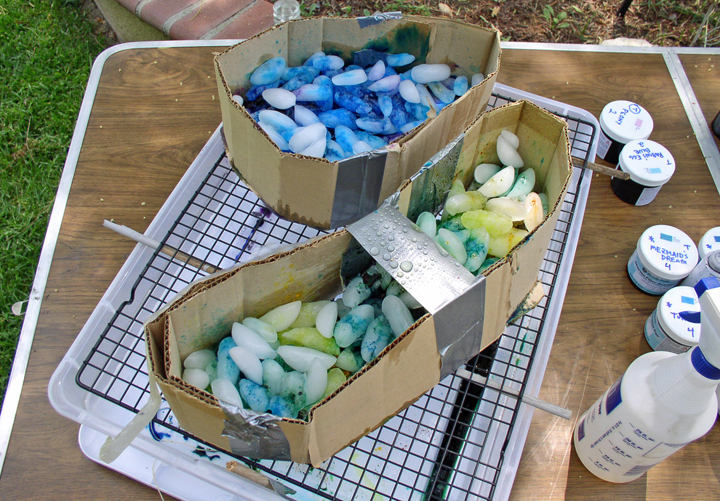 It requires you pre -soak in a soda ash solution, to make the fiber more receptive to the dye. 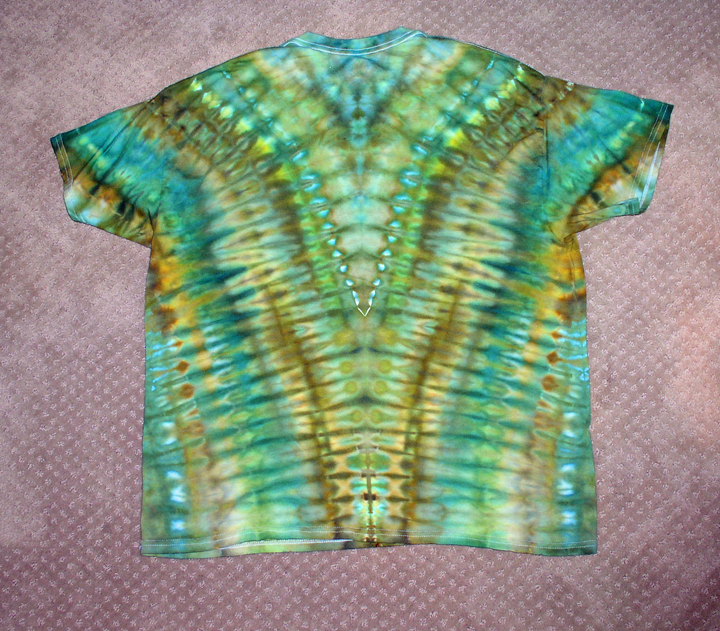 The fractal mirror reflection designs is what attracted me to this technique Myc. Very nice. Your artistic side is shining. 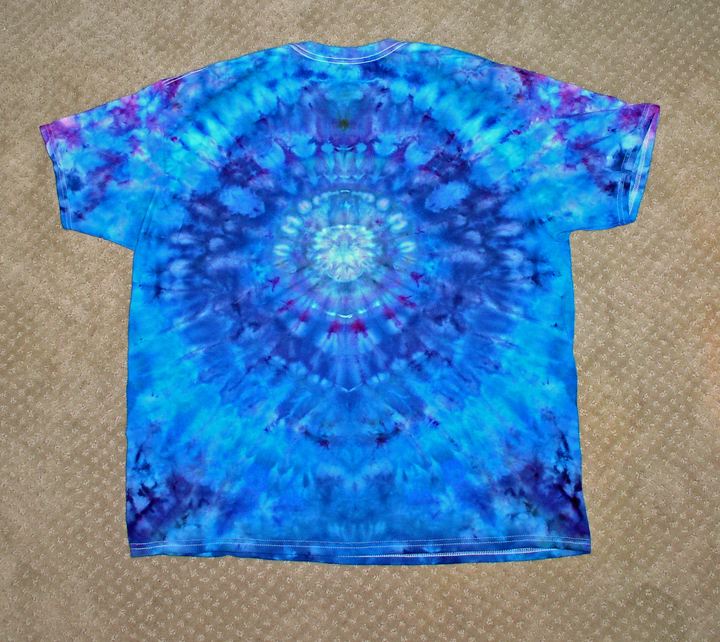 Ya know, I've always wondered if the first tie-die garment was the byproduct of some dirty hippy using his Tshirt to strain some cactus or root bark. Maybe it was a Clean hippy! You just had me checking that I hadnt had anything... That is some trippy dying. That's so crazy! I got some weird itch and ended up bleach dying a few shirts on Sunday for the first time! I mean, I did zero research and so they turned out to be garbage, lol. Yours look great. After that I watched some great Youtube videos and I'm definitely interested too. Did the materials cost much? Thanks for the utube link Side. 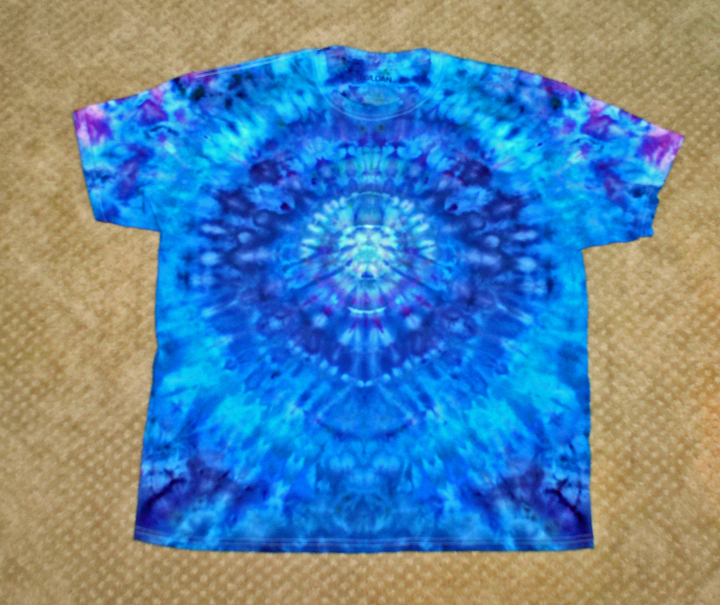 That guy used the same reverse folding as I did, but used the dye directly on the fabric before adding the ice. I see that gets you more intense color, and more precision. The dyes run anywhere from $2.50 to $5.00 for a 2 oz jar, depending on the color, and thats a good amount of dye. Soda ash is cheap. The rest you can piece together from household supplys. I went to Dharma trading Co for the stuff because they have the best variety and price. Edited by Skywatcher, 28 August 2018 - 08:54 AM. Don't sell yourself short Pan, It was your thread that I remembered and was inspired by. I just took it another direction because I am obsessive compulsive, and don't know how to try new things without jumping in with both feet. I knew I liked the mirror effect and was determined to make my own rather than settle for owning something "close". The public should be able to see us coming when we go out. You're in business, duder! Let me know first when you post your catalog. Is it no longer hip to use the term "dirty hippie" as a term of endearment? WTF? 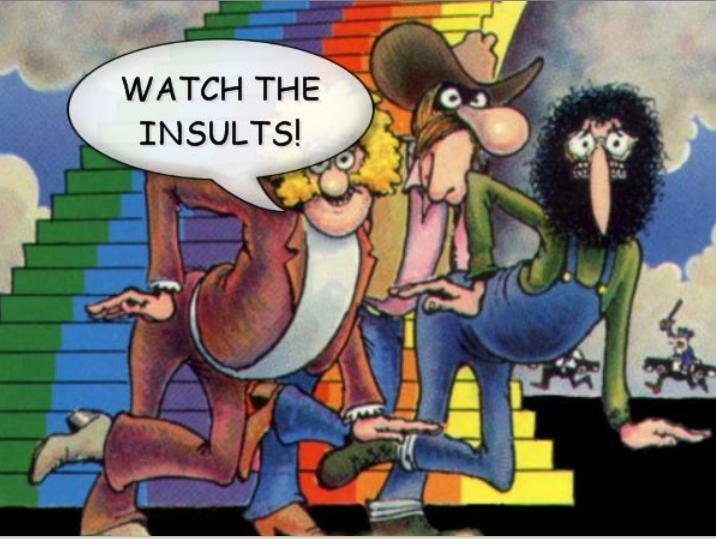 I'm the only one who knew people who called people near and dear "Dirty Hippie" ? Hey I was just saying that I showered this week.